Want some unique ideas for your reception? Yeah, you read right. 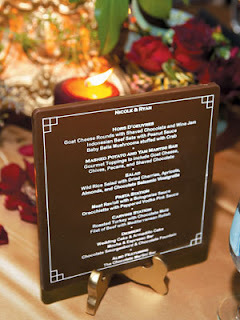 We're talking completely customized chocolate or even rice paper-made menus. Set them on top of each guest's place setting and remind guests not to spoil their appetites with chocolate before dinner! We're not talking about the usual cheese fondue option. 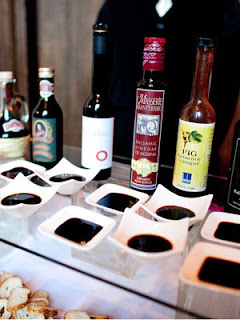 Instead, during the cocktail hour, set up a table with several types of vinegar, bread, and cheese, for instance, and allow your guests to create their own appetizer. Not into vinegar? Try it with chips and dip or even salsas that vary in spiciness. Comfort food has been popular at weddings for years, but now we're noticing a slight change, and it's all about the presentation. 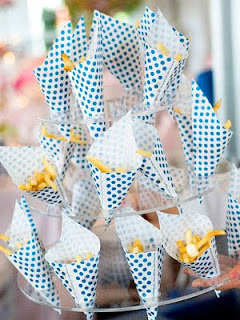 Try French fries wrapped in monogrammed paper or mini burgers served with fresh flower garnish. 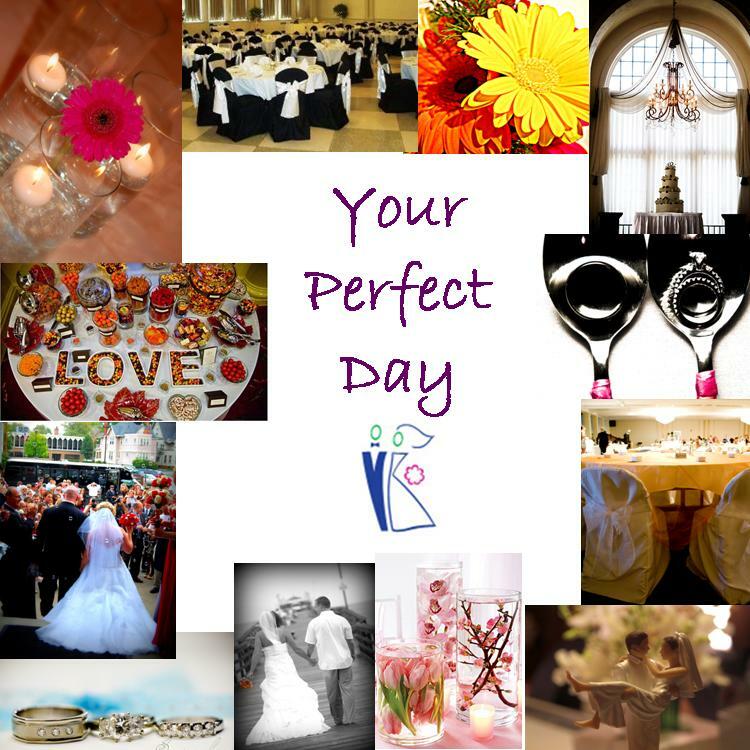 Instead of the expected passed hors d'oeuvres, ask your caterer about a more hands-on option. 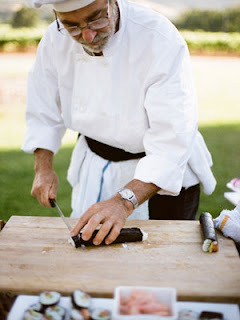 A few fun ideas: have a raw bar with a chef shucking oysters or a guacamole and chips bar with a chef chopping avocados and muddling the ingredients in front of everyone. Think of it as your other other bar. Keep your guests caffeinated and out on the dance floor with coffee-infused desserts. Order espresso-spiked brownies or even Starbucks-inspired coffee dessert drinks like Frappuccinos piled high with homemade whipped cream. 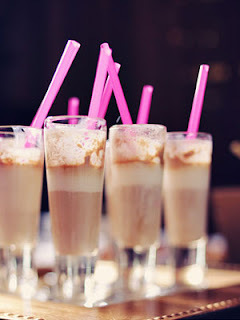 Include a few decaf options too, like chocolate milk shake shots or even flavored frothed milk. 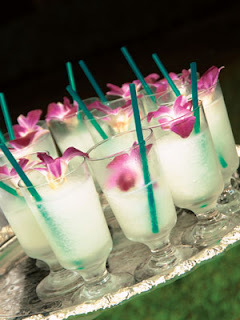 It doesn't matter if your wedding is in Florida or Minnesota -- you can still bring a bit of the tropics to your cocktail hour or even your after-party. Keep your luau bar from getting too kitschy by keeping the leis and plastic flowers to a minimum. Instead, opt for fruity drinks served in thin glasses and tropical flowers, like hibiscus, to garnish the food. Guess what? 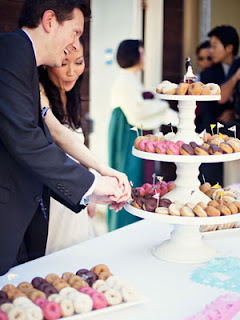 You can still have a "cake cutting" even if you're slicing through a stack of donuts. Serve up retro classics like cream and jelly filled varieties, plus new treats we've seen, like white chocolate and almond or coconut and mango donuts. Give your guests the chance to customize their own desserts. 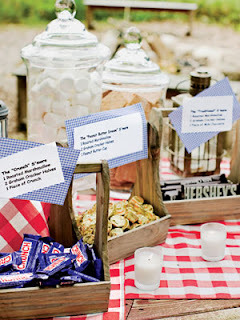 Set up a s'mores station near an outside fire pit, or, for a more formal wedding, have a waiter serve ice cream and offer a variety of toppings for guests to choose from.